Mumbai: Sunday and Monday will be partly cloudy. Windy from NW in the evenings...Day around 32/33c and nights around 24c. 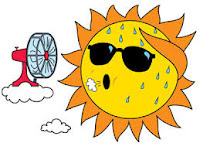 Pune: Likely to remain around 40c next 2 days. Dropping temperatures at night will push the minimum to 19c. very very cute sun fanning itself !!! PUNE/NEW DELHI: India's latest monsoon forecasting model predicts good rainfall this year, which will end severe water shortage that is threatening power supply and cheer farmers who have been devastated by two consecutive droughts. The Climate Forecast System (CFS) of the Indian Institute of Tropical Meteorology (IITM) predicts mostly normal and sometimes heavy rainfall across the country barring parts of coastal Gujarat, western Rajasthan, northern Kashmir and parts of the Northeast. Its forecast is in step with predictions of Australian, US and Indian scientists who say that that the monsoon-disrupting El Nino phenomenon is ebbing and will be completely neutralised before the monsoon strikes the Kerala coast on June 1. However, weather scientists caution that CFS is still an experimental model and its current assessment is based on weather parameters until February, while the India Meteorological Department (IMD) needs weather parameters till March to give its official monsoon forecast. "We will issue our official forecast only when all the parameters till March are available," said DS Pai, head of long-range weather forecasting at IMD. However, many forecasters are already saying this year's monsoon rainfall will be normal. Last week, Weather Risk predicted good rainfall this season. "The models are indicating above-average rainfall from June to September," said Kanti Prasad, head meteorology at Weather Risk and former director of the National Centre for Medium Range Weather Forecasting at the weather office. The IMD, which accurately forecast last year's weak rainfall, and Skymet, which got its forecast completely wrong in 2015, are also expected to issue their predictions this month. Scientists said the new forecast model of the IITM is a fully coupled ocean-atmosphere-land model being developed by the institute. 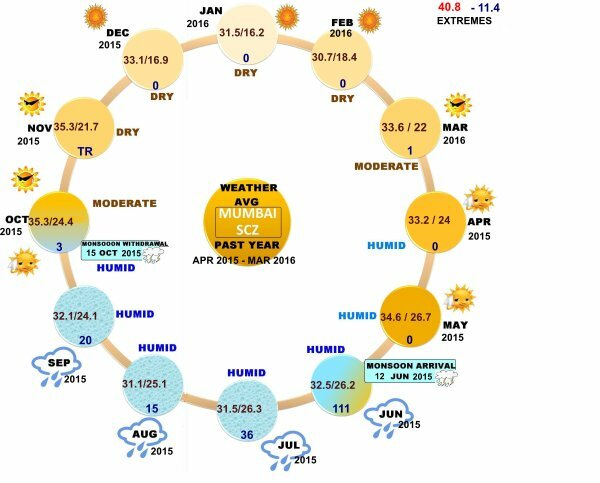 The Ministry of Earth Sciences wants IMD to use CFS model as the main model for official forecast of India's summer monsoon by 2017. Weather scientists across the globe say the El Nino conditions, which led to two consecutive droughts in India, are weakening, while La Nina conditions are likely to set in only after the Indian summer season is over. The Australian meteorological department in its forecast on March 29 said the decline of the 2015-16 El Nino continues in the tropical pacific. "International climate models suggest El Nino will continue to weaken... returning to neutral levels by mid-2016. For winter (June-August in Australia) and spring (September-November), climate models suggest neutral and La Nina are equally likely. However, the accuracy of forecasts made at this time of year is lower than those at other times, and some caution should be exercised," it said. The American National Weather Service's Climate Prediction Centre agrees. 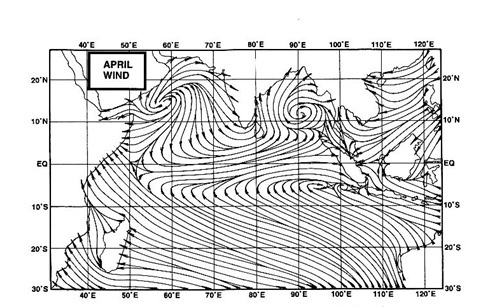 "A strong El Nino is present and is weakening," itsaidonMarch 28. Terrible summer continuing in bangalore. Its is very hot. Never seen a summer like this. Hope the rains start next week. @ Vijay. I feel it's normal April Summer for Bangalore !! 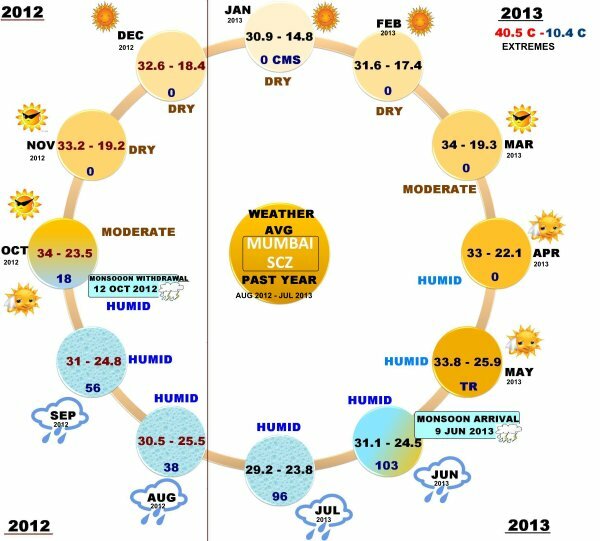 As every year recording 36-37c is common as per last 10yrs data for April..
Hi Abhijit....I am not so sure. Reaching 36 is not abnormal. But frequency of 36 is an issue.